Designed to pull out plastic trim fasteners. It reaches under the trim panel, supports and grips the plastic fastener and lifts it without damage to the fastener or to the trim pad backboard. 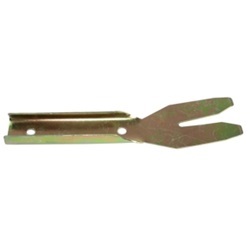 This tool is made of heat treated high carbon steel and will work equally well on metal fasteners.